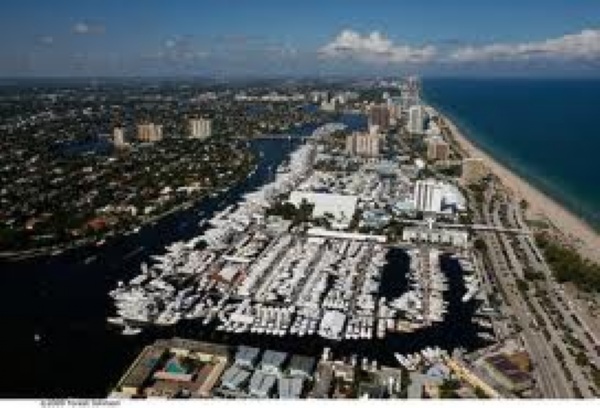 Fort Lauderdale offers some of the finest yachting in the world.Due to the many canals and waterfront communities in Fort Lauderdale, and manyresidences featuring dockage with deepwater access just offshore, there are more yachts docked in Fort Lauderdalethan any city in the United States. It received its nick name Yachting Capitalof the World with the advent of the annual Boat Show, which takes place October25-29 this year. The boat show covers 6locations and over 3 million square feet of space and is one of the largest inthe world. Other boating events includevarious races, regattas, and specialty events, like the recent Red Bull Candolaon April 14, 2012, in which the New River waterway was filled with a race ofhuman powered boats sponsored by Red Bull. There are many charter companies that arebased in Fort Lauderdale, as well as yacht brokers, so if you are looking toget your feet wet, Fort Lauderdale is certainly the place for you to enjoy thisincredible lifestyle whether for a day or a lifetime. Since I specialize inwaterfront properties in Fort Lauderdale, I would like to take the opportunityto highlight some of the premier clubs for mariners, whether sailing, yachting,or sport fishing in Fort Lauderdale. One of the oldest yacht clubs in Fort Lauderdale is the LauderdaleYacht Club. It has been a premier yacht club since 1938 and also offers tennis facilities, Sailing Center, Clubhouse, Fitness Center, as well as a number ofmember events as well as dining and boat services. This club is located at 1725 Southeast 12th Street, Fort Lauderdale, FL 33316. Another premier club is the Coral RidgeYacht Club. Located in the waterfront Community of Coral Ridge, The Coral RidgeYacht Club offers leisure opportunities well beyond yachting. CRYC has tennisfacilities, gourmet dining facilities, large pool, fitness center and staffed spa,golf facilities, stand up paddle boarding, and a wide array of familyactivities daily. CRYC is located at 2800 Yacht Club Blvd, Fort Lauderdale, FL, 33304. Both of these establishmentsare family friendly and have full facilities for your boating needs. A completelist of marinas in the area is listed below for those looking for otheropportunities to dock, without club membership. Also, below is a list ofcharter companies if you would like to try yachting. If you are looking for awaterfront condominium or home with boat slips or dockage available, I would behappy to recommend properties for you, contact me today! Bahia Mar Yachting Center, 801 Seabreeze Blvd., Fort Lauderdale, FL. 33316. 954-764-2233. Billfish Marina, 2955 State Rd. 84, Ft. Lauderdale, FL. 33312. 954-587-6226. Bonnie's Ravenswood Marina, 4470 Ravenswood Dr., Dania Beach, FL. 33312. 954-962-8702. Broward Marine, 750 NE 7 Ave., Dania Beach, FL. 33004. 954-925-8118. Cozy Cove Marina, Inc. 300 N. Federal Highway, Dania Beach, FL. 33004. 954-921-8800. Fort Lauderdale Waterfront Inns Las Olas Isle Resort, 91 Isle of Venice, Ft. Lauderdale, FL. 33301. 954-527-0026. Hall of Fame Marina, 435 Seabreeze Blvd., Fort Lauderdale, FL. 33316. 954-764-3975. 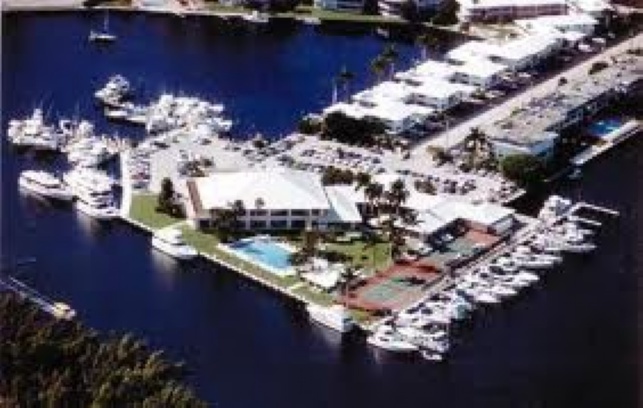 Harbor Islands Marina, 1050 Marina Dr., Hollywood, FL. 954-457-8557. Lighthouse Point Marina, Inc., 2831 Marina Circle, Lighthouse Point, FL. 33064. 954-941-0227. 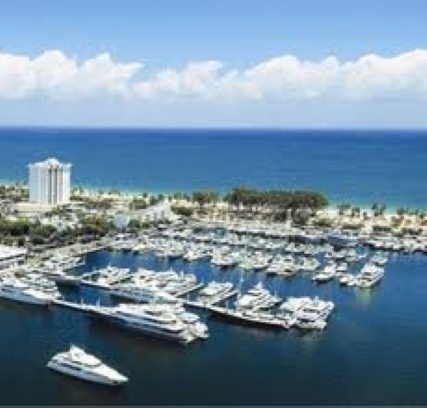 Marina Bay, 2525 Marina Bay Drive West, Fort Lauderdale, FL. 33312. 954-791-7600. Marriott Portside Marina, 1875 SE 17th St., Fort Lauderdale, FL. 33316. 954-527-6781. Pier 17 Marina & Yacht Club, 1500 SW 17th St., Ft. Lauderdale, FL. 33312. 954-525-4726. Sunrise Harbor Megayacht Marina, 1030 Seminole Dr., Fort Lauderdale, FL. 33304. 954-667-6720. Thunderboat Marina, 2051 Griffin Rd., Dania Beach, FL. 33312-5912. 954-963-2660. Waterfront Inns - Las Olas Isle & Beach Resorts, 91 Isle of Venice, Ft. Lauderdale, FL. 33301. 954-522-8886. Yacht Haven Park Marina, 2323 State Rd. 84, Fort Lauderdale, FL. 33312. 954-583-2322. Priscilla Yacht Management, Inc., 1635 S. Miami Rd., Suite 6, Fort Lauderdale, FL 33316. 954-523-8200.
International Yacht Collection, 1850 SE 17th St., Suite 301, Fort Lauderdale, FL 954-522-2323. Speedboat Adventures, Inc., 301 Seabreeze Ave., Ft. Lauderdale, FL 33316. 954-779-7660. 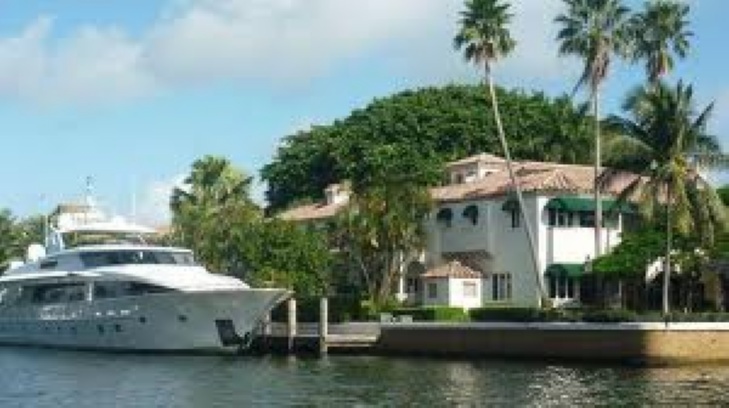 The Sacks Group Yachting Professionals, Inc., 1600 SE 17th St., #41, Ft. Lauderdale, FL 33316. 954-764-7742. All Inclusive Sportfishing, 1331 Mango Isle, Fort Lauderdale, FL. 33315. 954-761-1066. Hooked Up Sportfishing, 801 Seabreeze Blvd., Fort Lauderdale, FL 33316 954-764-4344. Playtime Sport Fishing, 801 Seabreeze Blvd., Fort Lauderdale, FL 33316. 954-627-6112. Litening Sportfishing, 801 Seabreeze Blvd., Fort Lauderdale, FL 33316. 954-527-1583. Capt. Larry Sydnor Flats/Backcountry Fishing, 3699 Davie Blvd., Fort Lauderdale, FL. 33312. 954-316-1024. Fish City Charter Boat Fleet, 2629 N. Riverside Dr., Pompano Beach, FL. 33062. 954-943-8222. Offsides Sportfishing, 2705 N. Riverside Dr., Pompano Beach, FL 33062. 954-941-0102.